I’m feeling better today, but I think a little pampering is in order this weekend for me and my car. I noticed this fun little surprise driving to work this morning. I met hubby at Whole Foods for lunch today, my favorite place to eat that’s close to work. 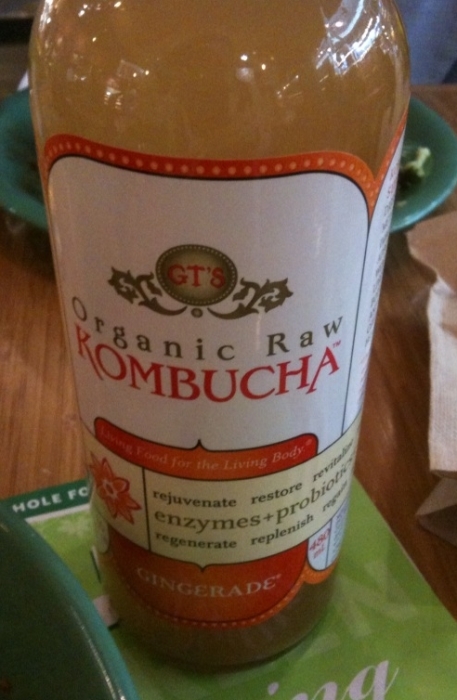 I’ve been seeing GT’s Organic Raw Kombucha a lot lately on blogs and my sister drinking one this weekend. So I had to try one with lunch today and it was very interesting, like a tart, vinegary tea with a slight sweet ginger taste. Not a super pleasurable taste, but it grew on me after a few sips. After downing it with the salad, I was actually surprised at how good my stomach felt. Typically after such a large, raw salad, there’s a bit of digestion and settling, right? I didn’t notice that, all felt settled and quiet in the stomach region. The bottle claims the cultured tea creates an elixir that immediately works with the body and I have to say from my experience that seems true – how odd for packaging to tell the actual truth! Seriously the bottle makes a lot of fantastic claims that Kombucha supports digestion, metabolism, immune system, appetite control, weight control, liver function, body alkalinity, anti-aging, cell integrity and healthy skin & hair … wow, what more does one need? Oh wait, there’s a disclaimer that the statements have not been evaluated by the Food and Drug Administration. Seriously it did seem to help digestion and I will try the other flavors on my next Whole Foods trip. The nutrition facts were impressive. I did get creative for dinner, I love raw soups, but he is not a fan of them, so I usually only do one serving at a time. I have a thing for coconut lately and have quite a bit stashed in the pantry after ordering a box of shredded, dried coconut from Amazon. I also have a thing for carrots and curry and got experimenting. 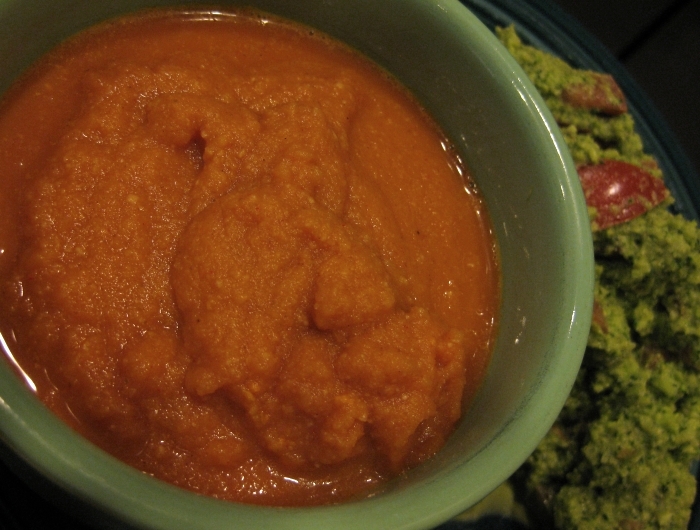 Blend ingredients in blender to a smooth texture and enjoy. Makes 1 serving. It was very good, like a sweet dessert soup with an underlying curry kick, but not too strong. This is the first time I’ve used shredded coconut in a blender soup, but I think I need to try it more often. Also, this has potential to be an awesome salad dressing. 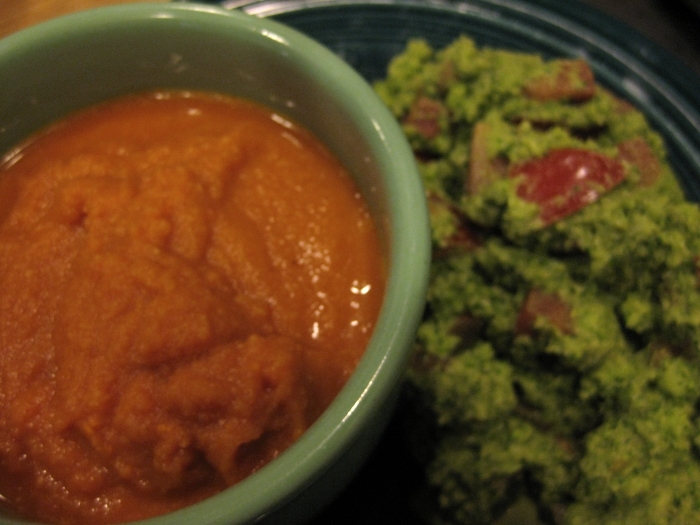 I paired it with broccoli hemp seed pesto and tomatoes because I’m weird like that, but it made a great combo. that Organic Raw Kombucha looks really interesting!! great I find a site devoted to raw food :-) I have been thinking about testing the raw food plan for quite a while! Hi Danielle, shoyu is the fancy word for soy sauce, specifically an organic, unpasteurized version in this case. It’s new to me too, I did circles around Whole Foods trying to find it when I first got into raw, lol. Fun soup idea! Yeah kombucha was startling at first, but I went through a major phase with it for a while – it was all I wanted! The price was a little prohibitive on that front, though. I actually catch a little buzz off it if I drink it between meals, actually. :) Good stuff! Kombucha sounds like a miracle! I’d love to try it, especially if it helps with digestion. And your dinner looks so good too! eek! scary car pedal thing. i’m not sure i’ll ever go raw, but i certainly notice an improvement in the way i feel when i incorportae a lot of raw things into my diet! Your clutch is looking hawt ;). Your raw soup looks great! Creamy thick soups are the best. 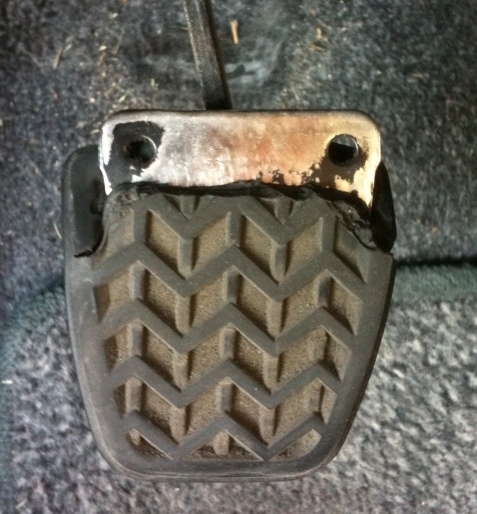 My gas pedal “cover” has been loose since I bought my jeep – ha! I’m so safe! 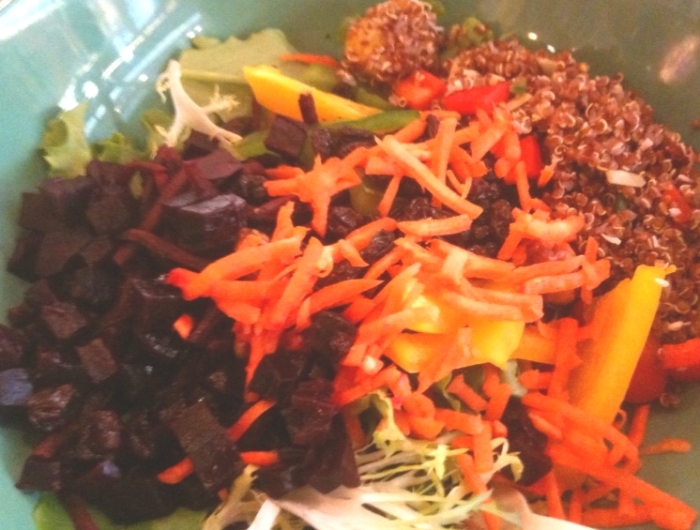 I used to work right around a Whole Foods and I loved going in and grabbing a great salad. It’s the best lunch place. Now I work nowhere near one and I miss it greatly. My bank account is doing much better without those lunches though! 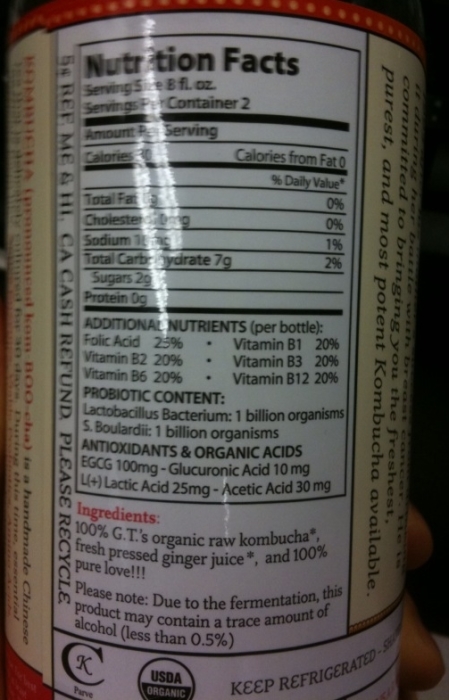 oh my i love kombucha and love the whole foods bar to eat-yum! does your hubby eat raw? Hi Kalli, hubby eats some raw, but he’s still a meat and potatoes man. He’s definitely been eating more veggies since I got into to, but a lot of evenings we have different dinners. I’ve seen that Kombucha on the blogs lately. I might have to try that soon.